Property damage can happen to anyone. If your home or commercial building has sustained fire damage, flooding or mold growth, Sante Property Damage Reconstruction can help. We have over 30 years of experience serving the Cromwell area with our excellent customer service and workmanship. Before we begin a project, we assess the situation to create a plan tailored to your needs. Experts in our field, our property damage repairs stops destruction from spreading to reduce costs. Our technicians are trained and licensed. You can count on us to reduce your liability and prevent a disaster. We work with your homeowner’s insurance or commercial insurance to keep costs and stress low. Are you in a property damage disaster now? Our emergency reconstruction service is available 24/7 to stabilize any situation. Call us now to discover all that Sante has to offer and receive a free estimate. Fire damage is heartbreaking. At Sante, we understand the impact of fire loss on families and businesses. Our expert fire damage services provide full property reconstruction. We will limit the spread of smoke and soot throughout the structure. Water damage is often related to fires due to emergency water. 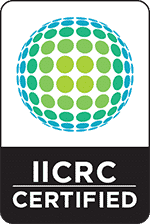 We have skilled teams available to stabilize, secure, and reconstruct fire damaged properties. Our decades of service ensure that your property is getting top rated service. Dedicated to craftsmanship, we provide complete fire damage reconstruction to any structure. Tailored to you, our plan of action is decisive and affordable. Having unique requirements, water damage reconstruction requires skill and experience. Sante Property Damage Reconstruction creates comprehensive water damage repairs to any property. Whether commercial or residential flooding, our trained and licensed water damage technicians know how to salvage and repair when possible. Organized and timely, you can put your trust in our water damage reconstruction services. In an emergency? We are here for you with 24/7 service. Give us a call now to stop the spread of water damage before it is too late. Serving Cromwell and the surrounding area, our mold damage solutions eliminate dangerous mold from any property. Are you concerned about air quality and visible mold growth? Our top rated mold technicians can identify the type of mold you are dealing with now. Fully licensed, our teams will stop mold at the moisture’s source. While working, we contain the area to prevent the spread of spores. Mold is a delicate property damage issue. Our mold damage repairs and reconstruction are skilled services that require a professional’s touch. Extreme weather can result in storm damaged properties. At Sante, we know the community and its buildings. Have you experienced flooding from natural water? We know how to repair storm damage and eliminate your risks. High winds, winter weather, and ice dams may have caused extensive storm damage. Our storm reconstruction teams are available to secure the property and stop the spread of water, mold growth, and more. We will fully sanitize the property for complete storm damage reconstruction. Our weather damage repairs are available 24 hours a day, seven days a week for emergency storm damage service. Don’t hesitate to call us now! Commercial disaster repairs require a team that is fully licensed and trained. If your business needs property reconstruction, we can help now. Sante Property Damage Reconstruction understands how important your business is to the Cromwell community. Let us help you get back on your feet with commercial repairs for fire damage, water and flooding, mold growth, and general contracting. Our emergency 24/7 commercial disaster repairs can be to you fast. We will salvage equipment, tools, and much more when possible. Offering large or small business and commercial disaster repair, our insured technicians will protect you from liability and further expenses. Do you need general contracting services in Cromwell? Count on Sante Property Damage Reconstruction! Our general contractors offer estimates that include the labor, materials, equipment and more. A comprehensive solution, our general contracting services will save you time and money. 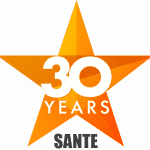 Sante’s teams are fully licensed and insured to give you peace of mind. Our reconstruction customers appreciate our quality, craftsmanship, and timely service. Sante’s free estimates are tailored to your general contracting project with personalized client service. Sante Property Damage Reconstruction has more than three decades of experience serving Cromwell, Connecticut. Our commercial and home services include fire damage, mold growth, and water damage. Offering our clients free estimates, we create a personalized plan for your property damage. Licensed and insured, you can count on our property damage reconstruction to fully repair any structure! Does your Cromwell Home or Business have Damage?